Singer-actor MORRIS GEARRING stars in "Something About Oscar" (Oscar Brown Jr, that is)With Special Guest MAGGIE BROWN on vocals! With Special Guest, Julie Wood on Sax! unique blend of music. It is a mix of soul, jazz and musical theatre. Oscar was a celebrity in Chicago. Morris' passionate show is an homage to the man whom he knew and loved. Oscar Brown Jr. passed away in 2005. Leave a Gift for a Vet under the PAC-Tree! Operation Supply Drop, a nonprofit that assembles gamer care packages to veterans and deployed US military across the world, and Level 257, a destination for dining and elevated play, have partnered to bring veterans and civilian supporters together this holiday season. From November 28th through December 31st, area residents are invited to donate new or gently used video games to Operation Supply Drop. All donations will be taken at Level 257 adjacent to Woodfield Mall in Schaumburg, IL. In solidarity, Level 257 will be making an in-kind donation to Operation Supply Drop to kick off the holiday season! Operation Supply Drop is a veteran support organization which through one of their programs assembles videogame care packages filled with games, products, apparel, and other exciting items. Once assembled, these packages are sent to active duty & veterans deployed, those in hospitals, and active military installations across the world. Level Up Through Giving Tuesday - November 28th through December 1st anyone who brings in unwrapped new or gently used gaming consoles and/or video games will receive a free 30-minute Level Up game-play card from Level 257. The Gift Drive will kick off with the Level 257 PAC-MAN-inspired Holiday Tree Lighting Party, at 5:00 PM on November 28th. 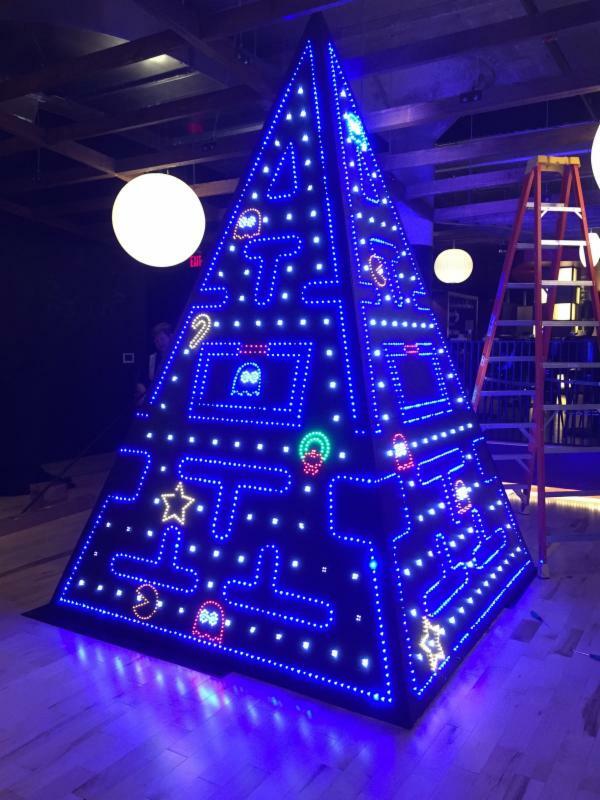 The pyramid-shaped tree, hand made by the skilled craftsmen at NAMCO USA Inc.'s workshop, utilizes over 5,000 LED lights to re-create the original PAC-MAN™ arcade game board.Guests will be treated to a glass of spiced hot apple cider, a complimentary 30 minutes of game play, festive music, and more. The first 50 revelers will receive an exclusive, collectible PAC-MAN Santa hat, and all guests can enter into a no-cost raffle for lots of cool prizes. You don't want to miss out on this fun-filled event! To RSVP, go to: http://level257treelighting.eventbrite.com. RSVP not required, but encouraged. For information, email info@level257.com or call the hosts on 847-805-0257. Operation Supply Drop recognizes that the love for all things gaming and geek is just as pervasive in the military community as it is in the general population. With geek culture as a focal point, Operation Supply Drop works to foster a sense of community among veterans, military, and civilian supporters. Their focus on military support, donations, and games make for lasting friendships, awesome communities, and a whole lot of fun. Level 257TM captures the magic of legendary video game and toy manufacturer Bandai Namco in a resto-lounge setting by serving up a joyful combination of American fusion food, craft cocktails and elevated play. With 36 craft beers lines, seasonal craft cocktails, retro and newly released video games, bowling, ping-pong and more, Level 257 is a play space that is part chic urban lounge/part over-the-top rec room. Level 257 is adjacent to the Woodfield Mall in Schaumburg, IL, with guest entrance from the parking lot. For more information, visit www.Level257.com or call 847-805-0257. 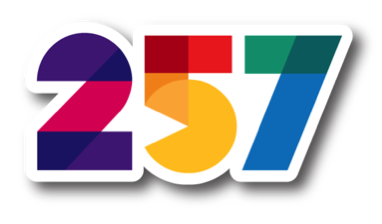 Level 257TM is a trademark of NAMCO USA INC.
PAC-MAN™ & © BANDAI NAMCO Entertainment Inc. All rights reserved. , a global nonprofit which gives children in the United States and around the world a healthy start, the opportunity to learn and protection from harm. All participants have the option to donate $5 or more during registration and create an online fundraising platform to help raise funds for Save the Children. will be on-site at every stop collecting goods for gift packages and designing "thank you cards" to send to our troops overseas. , our official ugly sweater partner to gear up participants for race day! The Ugly Sweater Run offers local businesses the opportunity to engage at our Happy Place on Earth and can contact info@humanmovement.com for further details. 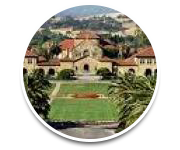 Each fellowship includes a $26,000 annual stipend, a tuition waiver, and health insurance. Residents will receive an honorarium of $20,000 for up to twelve weeks in residence served over an academic year. 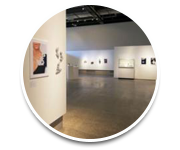 Will award one visual artist $1,000 for their work in any visual media. 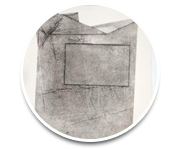 Designer and artistic counselor Alice Berry discusses her designing career, the nature of her practice, and how an artistic identity affects artists' lives. CAR is run by the Chicago Artists Coalition (CAC). On December 1, CAC will be a part of #GivingTuesday. Your new or increased gift will be matched dollar for dollar! Arts Publication: Off-Kilter Wants YOU! Save 15% on Honl Speedlight Modifiers! Charlie Sheen..What are the odds?